Miami International Airport added two new flights in the past week, including one to a continent that was previously unserved. Royal Air Maroc launched the first ever flights from Miami to Casablanca on April 3. The service will initially operate three times weekly, with new Boeing 787-8 and 787-9 Dreamliners. The airline’s 787-9 has business class seats with reverse herringbone seating, allowing aisle access from every seat, while 787-8s have 2-2-2 seating in business. Connections from Casablanca onward to Europe, the Middle East, and Africa are offered, and Royal Air Maroc frequently offers the lowest business class fares to many destinations. 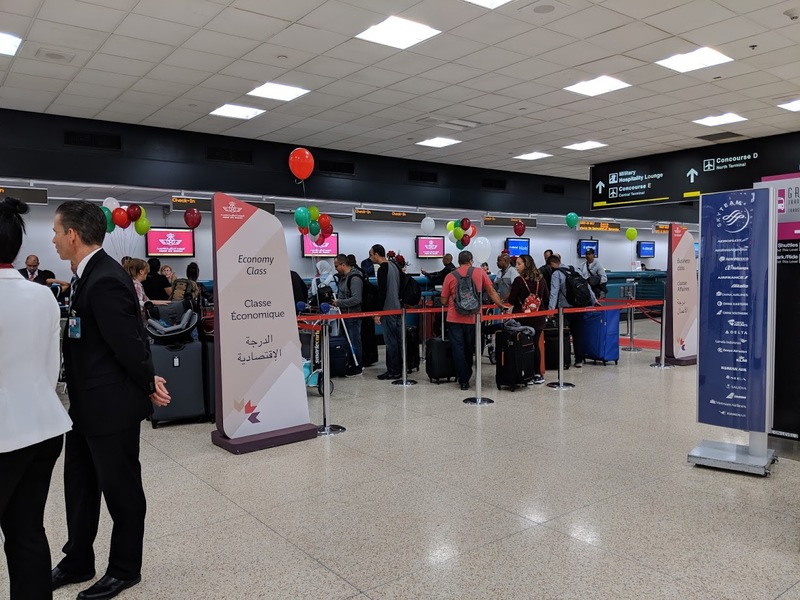 MIA Director and CEO Lester Sola called the new flight to Casablanca “one of the most significant milestones in the 90-year history of Miami International Airport,” saying that service to Africa has long been a goal of the airport. Another new service was also launched by Norwegian on March 31, with daily 787 flights to London Gatwick (the flights were moved from Fort Lauderdale airport). The Norwegian 787 seats 344 passengers and offers a premium cabin. Pricing on Norwegian frequently undercuts other carriers. Overall airport passenger count at MIA was up 6.03% in January, and 5.62% in February. I think another milestone would be Asia non-stop connection. Also, bring Etihad to MIA. Etihad isn’t in a good finical position to launch such a flight at the moment. I recall reading Miami officials were in japan either last years or in 2017 trying to set up a Tokyo direct flight. Why isn’t Japan Airlines or Singapore Airlines flying to MIA? Uhhhh, because it’s so far and not economical to fly there. Plus no commercial plane could fly to SIN. Japan Airlines is likely one day. Singapore Airlines? No chance. Great!!! All that we need now is a new Airport. I am getting claustrophobic just looking at those low ceilings! IDK, I prefer them to the staid and dark newer terminal, which won’t have aged as well sixty years later. I would be little worried booking a flight on Norwegian with the financial problems they’ve been having. Royal Air Maroc 787-8 does not have reverse herringbone seating with direct aisle access from every seat. It has 2-2-2 seating. if we could have good service in this town!!! MIA is the busiest airport in the world!! Miami winning!! Miami International Airport just keeps growing, keep up the good work. When will we have a Miami – Asia connection? Bring Emirates or an alternative.